Cardi B hopes to release her next album later this year. The chart-topping rap star – who released her debut album, ‘Invasion of Privacy’, in 2018 – has revealed she is currently working on new material and is hopeful she’ll be able to release it before the end of 2019. She told Variety: "I’m starting to prepare myself now because I’m really trying to put out an album for this year." She shared: "My last album, ‘Invasion of Privacy’, it just went three times platinum, so now it’s just like, ‘Aw snap. 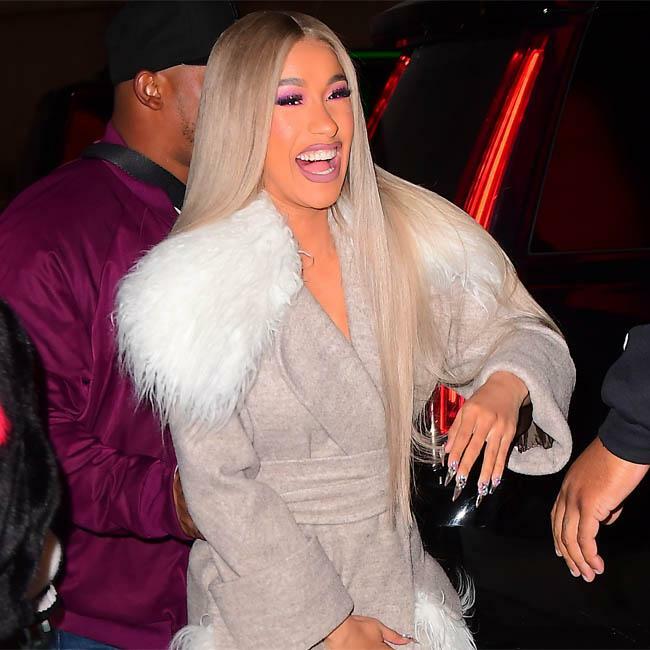 It’s big pressure on me.’ It’s like, ‘Aw snap, what the hell am I going to come up with?’"
Meanwhile, Cardi recently confessed she’s become more money-focused since she became a mother. The outspoken star – who has an eight-month-old daughter called Kulture with Migos rapper husband Offset – said she’s now got a burning ambition to become as rich as she can. She explained: "I can never be comfortable. I used to think my mom was paranoid. But as you get older you understand what your mom be talking to you about. "I always dated guys that had money. But I didn’t have the money. What happens if we separate? I don’t want to be asking you for stuff – no, that’s not my style."